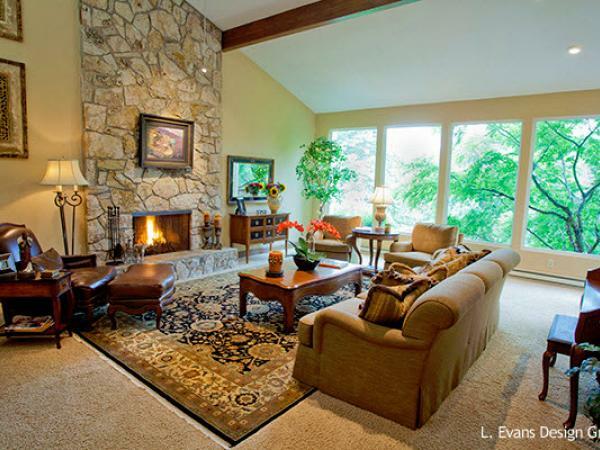 This California style Stucco home sits high atop a bluff overlooking beautiful Lake Oswego. Over the course of 5 years, this home received a complete three-story renovation, top to bottom. The original floor plan was confined by smaller rooms, limited views and exterior access. The home’s original aluminum windows were not energy efficient. Phase one of the renovation started on the main level by removing interior walls, combining the kitchen, family room, living room and dining rooms area in one great space. The new open floor plan allowed for better flow and greater views of the lake and surrounding natural beauty. The new Milgard windows and doors allowed for better access to the outside deck and the fantastic lake views. The owners chose Ultra™ Series for their exterior brownstone finish that blended with the existing stucco walls and deep brown wood exterior. "With the new windows and doors, the owners are pleasantly pleased with the increased quietness of the home as well as the temperature insulation: warm in the winter and cool in the summer." One year later, the Final Phase of this home’s renovation began with a complete basement remodel. A family room – home theater, exercise room, bedroom, laundry, and bathroom were created once again using the Ultra™ Series. 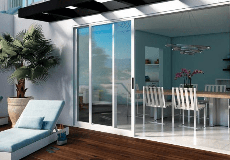 Milgard products used: Ultra™ fiberglass windows and doors.